Alongside the latest 1.18 patch, Blizzard's made the original StarCraft and its Brood War expansion free. 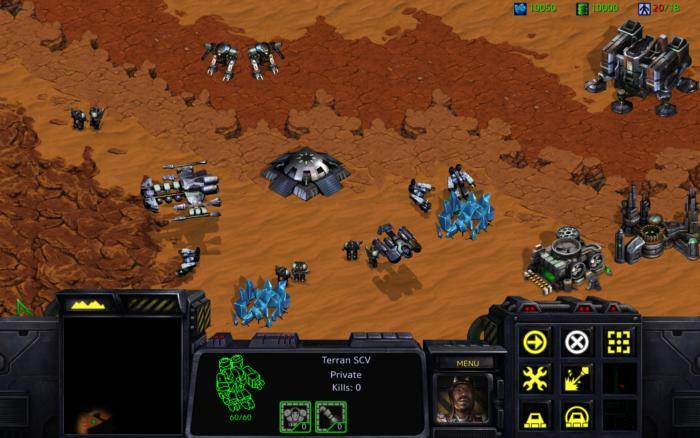 A few weeks ago Blizzard announced the upcoming summertime release of StarCraft: Remastered, giving a facelift to the classic RTS and its beloved Brood War expansion. Alongside that announcement came other interesting news though: The original (not remastered) versions of both StarCraft and Brood War would be made free sometime in April, alongside a new 1.18 patch. That time has come. Blizzard dropped the 1.18 patch late on Tuesday, adding in a borderless windowed mode, tweaking some back-end code, correcting some long-standing bugs, improving compatibility with Windows 10, and more. But more importantly, whether you never purchased the game or just lost the CDs a decade ago, you can now grab StarCraft and its expansion for free on both PC and Mac. Just head here, click on the corresponding link, and the game (or rather the installer) will automatically start downloading. Apparently the custom hotkey feature didn't make it in this 1.18 build—I don't know if that's being held back for the Remastered version over the summer or if we'll see another patch before then. In any case, it's StarCraft, pretty much the same as it's been for the last 19 years. If you just can't wait a few months to play in 4K, or just don't feel like scrounging up the money, Zerg rush on over and grab your freebies.